Have you ever wondered what goes on in royal family homes behind all the public decadence, extravagance, and almost otherworldly splendor? 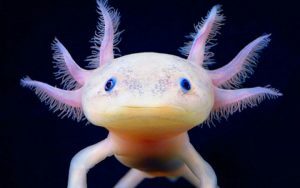 Each and every royal family of the world manages to inspire in their fans and loyal subjects a sense of awe, so it’s only natural that our heads are left swimming, wondering what they are actually like behind the scenes. 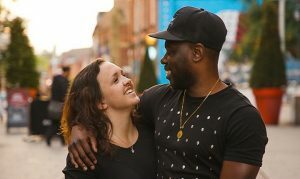 Read here for a glimpse at what life looks like inside the royal residences and how the royal families entertain guests, welcome heads of state, or simply relax and enjoy time with their friends and loved ones. From Sweden to England to Morocco, there’s bound to be some dazzling surprises in store. So the heir apparent of the most famous royal family on the planet receives the visiting leader of one of the most powerful nations on Earth. It begs the question: where shall they sit for a pleasant chat? In the Duke and Duchess of Cambridge’s own apartment at Kensington Palace, of course! Prince William and Kate Middleton moved into Kensington Palace’s Apartment 1A in 2013, but not until it had gone under a massive renovation, to the tune of one million pounds. Calling it an ‘apartment’ is an understatement: the royal couple’s domain is a four-floor and twenty-room wonderland. 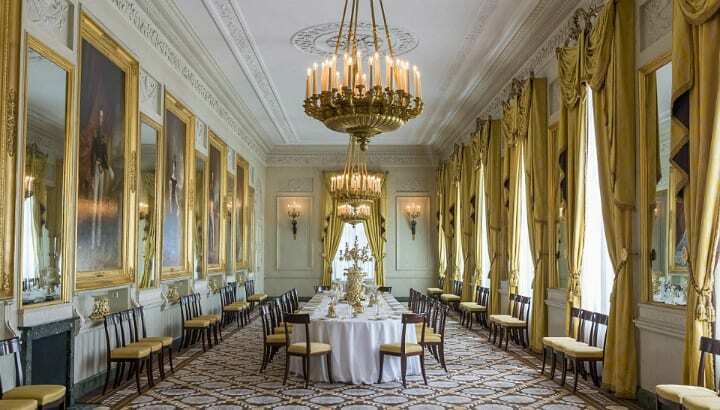 When the couple and Prince Harry received Barack and Michelle Obama, the world was treated to a rare glimpse of their beige-hued drawing room. With the elaborate, fanciful twists and twirls of its archways, its columns and busts, the gold trim, and portraits from antiquity, there’s no mistaking that this villa belongs to the cream of the crop. The Princess of Thurn and Taxis, a famed socialite and close friend of Hillary Clinton, is proud to have preserved the ancient family residence at the south German abbey of St. Emmeram. The massive abbey has stood ever since its establishment as a monastery well over 1,000 years ago, and contains a whopping 500 rooms. Part of its buildings were granted to the Princes of Thurn and Taxis in 1812, but this royal residence also boasts its own basilica. It is the largest building in Germany that is not a palace. 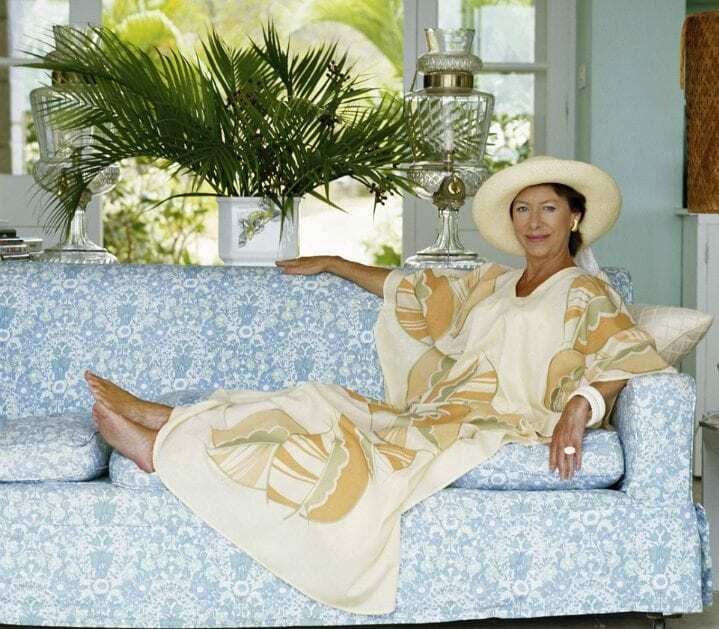 Queen Elizabeth’s glamorous younger sister, Princess Margaret, looks positively radiant on retreat at her Caribbean island getaway in 1976. Known as Les Jolies Eaux, this mansion is located on the island of Mustique, in the present-day nation of St. Vincent & the Grenadines, which was among the British crown’s possessions in the Caribbean at the time. Princess Margaret was gifted the estate as a present for her 1960 wedding. 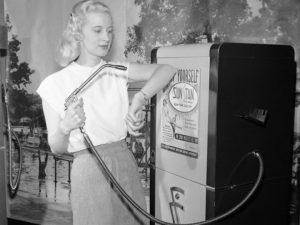 The property, whose name translates to “The Beautiful Waters”, had been developed by the husband of one of her ladies-in-waiting. 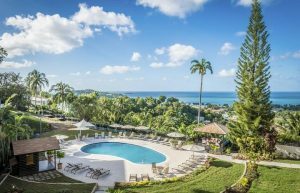 It features stunning panoramic views of both the Caribbean Sea to the west and the Atlantic Ocean to the east, most easily enjoyed while luxuriating in the shimmering backyard pool. As a part of President Barack Obama and his wife Michelle’s reception at the Duke and Duchess of Cambridge’s personal quarters at Kensington Palace, they had the pleasure of meeting several other members of the royal family. 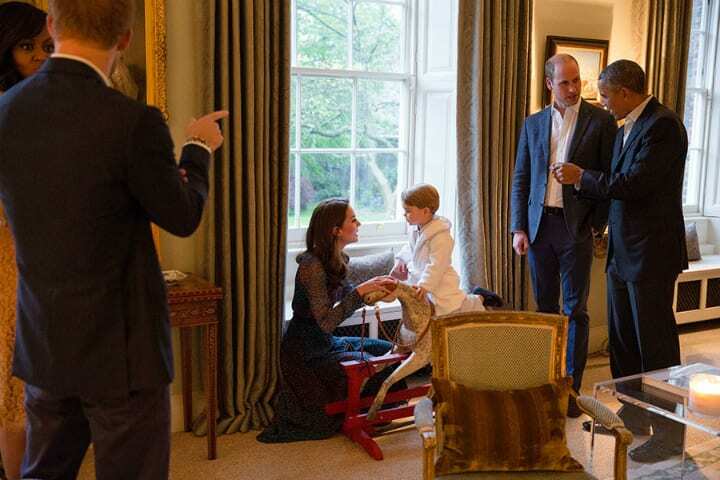 Here, as the grown-ups discuss world affairs, Prince George seems far more focused on playtime. Happy to join in for a good frolic on the rocking horse is mum Kate Middleton. Everything in this drawing room appears meticulously spaced, every piece of furniture perfectly straightened and in total alignment. Even the young prince’s toy is positioned just so that it can afford him a nice view of the palace gardens. 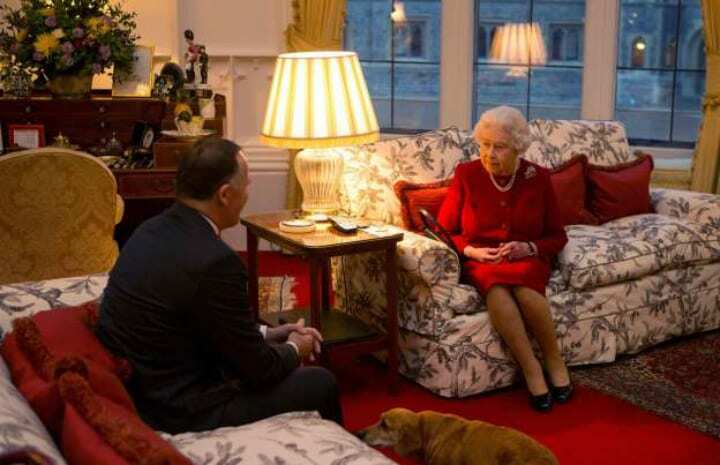 With the windows thrown open to gaze at the rest of Windsor Castle’s impressive stone buildings, Queen Elizabeth receives former New Zealand Prime Minister John Key in her sitting room. 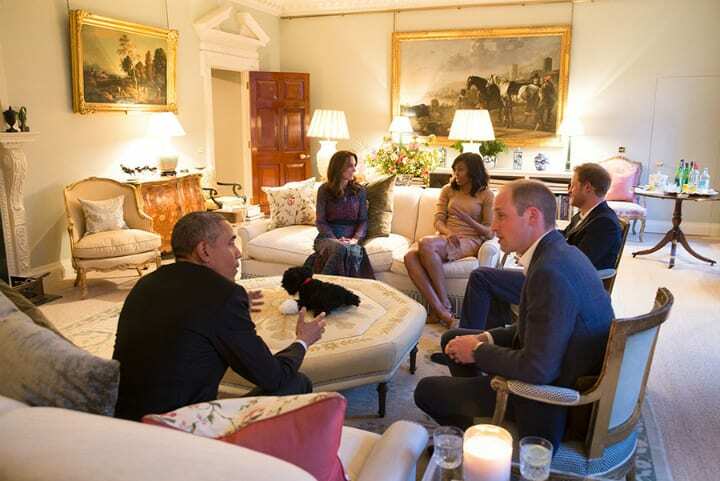 It’s a one-on-one meeting with a head of state of a British Commonwealth nation, but they are joined, of course, by the ever-present corgi waiting patiently at their heels. Look closely at this photograph, for among the various trinkets and decorations, such as military figurines, a portrait of the Queen Mother, and old china, is another object reminding us that the Queen enjoys keeping up with the times just like the rest of us: there’s a television remote on that small side table. When you picture the ballroom of any royal family, let alone the one in the very heart of Queen Elizabeth’s Buckingham Palace, this is pretty much as sumptuous as you can get without getting too bombastic. Positively bursting with the vibrant color of its vivid scarlet carpeting, it exudes warmth and pomp. 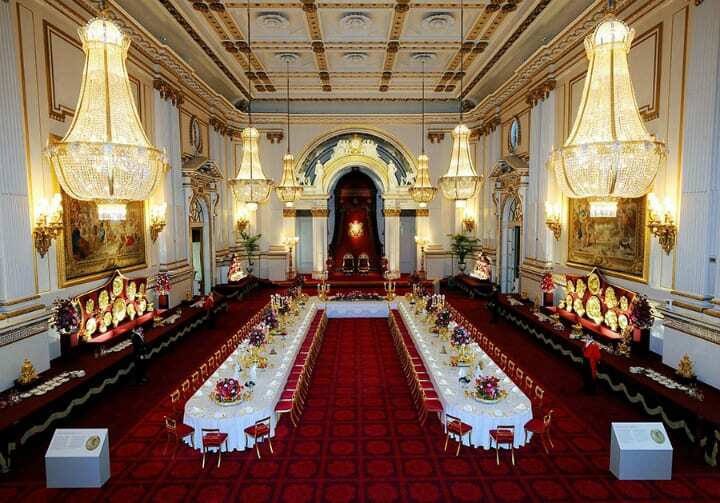 Here we see the ballroom set up for a royal banquet, where guests will dine in luxury beneath the enormous glittering crystal chandeliers, on gold chairs. During banquets, the palace staff sets up nineteen serving stations around the table, and delivering each course is coordinated by using a series of traffic lights. As a woman so constantly ensnared under the photographer’s gaze wherever she went in the world, Princess Diana was the royal family member that the international public just couldn’t get enough of. But despite that, being able to have a glance at her inner sanctum was an opportunity rarely afforded. This tender moment shows Princess Diana in one of her many roles, as a mother, helping the young Prince William solve a puzzle in the playroom of Kensington Palace. 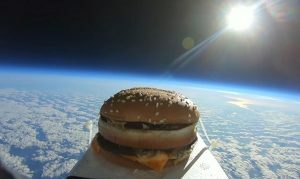 Refreshingly enough, there is nothing over-the-top about their setting, both in terms of the decor and the architecture. This seems like a playroom that could be in anyone’s home. At barely over 50, King Willem-Alexander of the Netherlands is one of the world’s younger monarchs, having ascended to the Dutch throne after his mother Queen Juliana abdicated in 2013. And while some of the other royal Dutch possessions have been slowly opened to the public, Villa Eikenhorst remains their inner sanctum. This mansion, located in The Hague, is the private residence of the Dutch royal family. So naturally, you would have to belong to a very specific echelon of society to be invited into this special space. Fitting the criteria was the Duchess of Cambridge, Kate Middleton, when she arrived to the Netherlands on her first solo trip overseas. 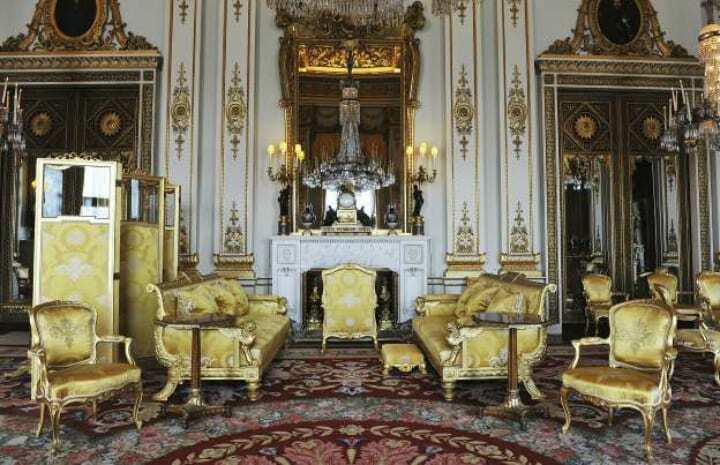 There’s so many details in the White Drawing Room at Buckingham Palace that it’s bound to distract any visitor’s eye as they try to take it all in. It is from this space that Queen Elizabeth prefers to give her annual Christmas broadcast, and also it serves as the room where newly appointed foreign ambassadors formally present their credentials to the Queen. This surprisingly intimate space has one fascinating function that is not easily apparent. One of the mirrors in the White Drawing Room and the cabinet in front of it are actually a double door leading to a hidden passageway, through which Her Majesty can easily slip into the room to receive her guests. It’s one of the most famous residences of the British royal family, the Scottish castle purchased for Queen Victoria by the love of her life, Prince Albert. 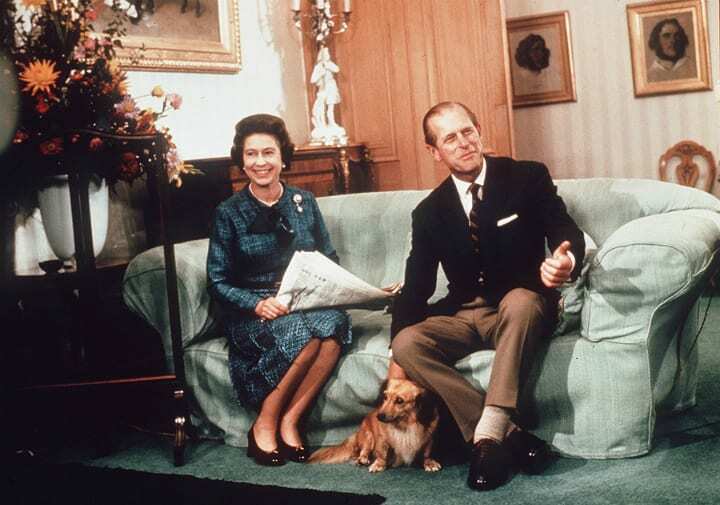 Balmoral is still the annual summer getaway home for the current monarch, Queen Elizabeth II, who is pictured here in the drawing room with her husband Prince Philip and one of their dogs in 1975. But there’s a catch to this castle. Balmoral Castle is notorious for not having central heating, and its stone halls retain the chill of Scotland’s countryside like no other. 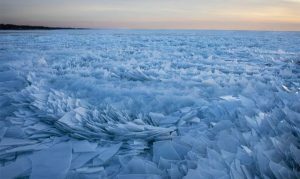 When Nicholas II, the last Tsar of Russia, visited in 1896, he famously quipped that it was colder than Siberia! Perhaps all those tartan kilts and stylish stockings are a bit out of place? It’s time to be their guest. Noordeinde Palace in The Hague, Netherlands, is the workplace of the current head of the Dutch royal family, ruling monarch King Willem-Alexander. Starting just in 2016, the palace has been opened on occasion for public viewing, for the Dutch populace to gawk at their king’s personal office space. This dining room seems like a scene straight out of a Dutch version of Beauty and the Beast. From the thick gold frames on the portraits of royalty of ages past on the walls, to the shimmering gold of the curtains, the candelabra centerpiece, and even the chair cushions, everything about this dining room screams opulence. 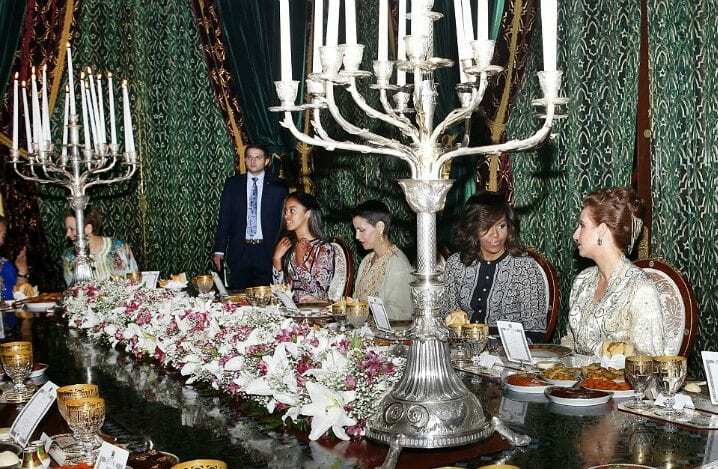 For a stop in Morocco on a 2016 tour to promote education for young women, First Lady Michelle Obama and her daughters Sasha and Malia had the opportunity to participate in the grand feast that comes at the end of each day of the month of Ramadan, known as an iftar — at the invitation of none other than the king’s wife. On a table bursting with fragrant sweet lilies and heavy silver candelabras, Princess Consort Lalla Salama welcomes her guests to break the fast with her in the Royal Palace in Marrakech. The room is decked with plush green curtains in classically Moroccan geometric designs. Not visible in the photo is another guest of honor: Hollywood royalty herself, multiple-time Oscar-winning actress Meryl Streep. 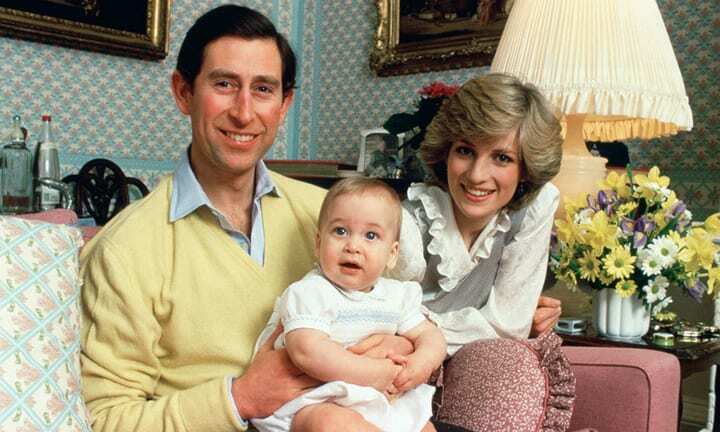 With these rosy-cheeked smiles, heir apparent to the British royal family Prince Charles and his then-wife Princess Diana were all too eager to share their new bundle of joy, infant Prince William, with their hundreds of millions of adoring fans and subjects across the world. To do so, they invited photographers into their personal chambers at Kensington Palace. The baby blue patterns of this room are excellently suited to the theme of the most recent arrival to join the royal family. Although the couch is in shades of light burgundy, the main cushion behind Prince Charles with its sky-colored diamonds and floral motif match the calming wallpaper wrapping around the room. Most of Europe’s royal families are someway, somehow connected to each other, whether by blood or by strategic marriages. But as the second cousin to Queen Elizabeth II, King Harald V of Norway is technically the most closely-related to the British royal family of any monarch. So naturally, a reception for the Duke and Duchess of Cambridge’s visit meant a joyous family reunion. Here the delighted visitors are swept off to a dinner in their honor at the royal palace in Oslo. 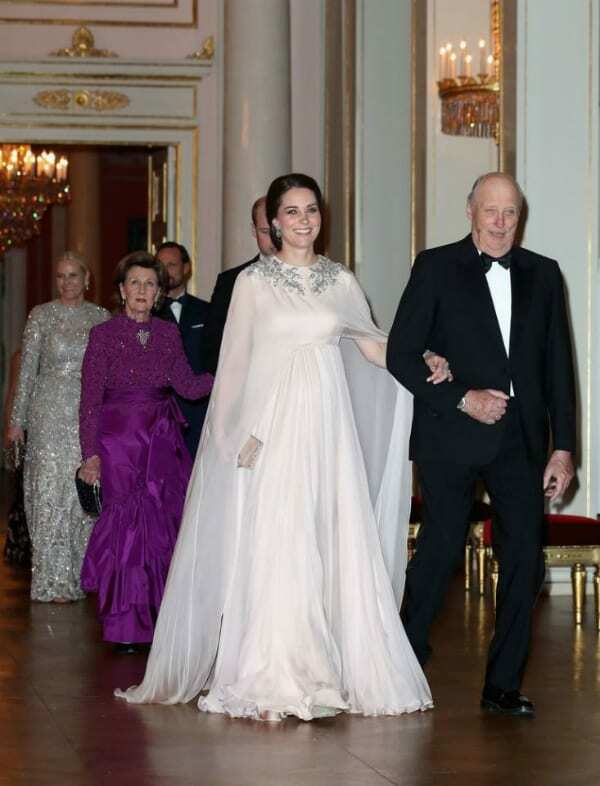 Arm in arm, the Crown Prince Haakon and his wife Princess Mette-Marit, Queen Sonja of Norway and Prince William, and Duchess Kate Middleton with King Harald make their way through rooms decked with sparkling chandeliers and gilded borders. It was the event that had the whole nation of Sweden looking on in adoration: welcoming the newest member of their royal family into the faith. Princess Adrienne is the youngest child of Princess Madeleine, herself the youngest child of Sweden’s King Carl XVI Gustaf. 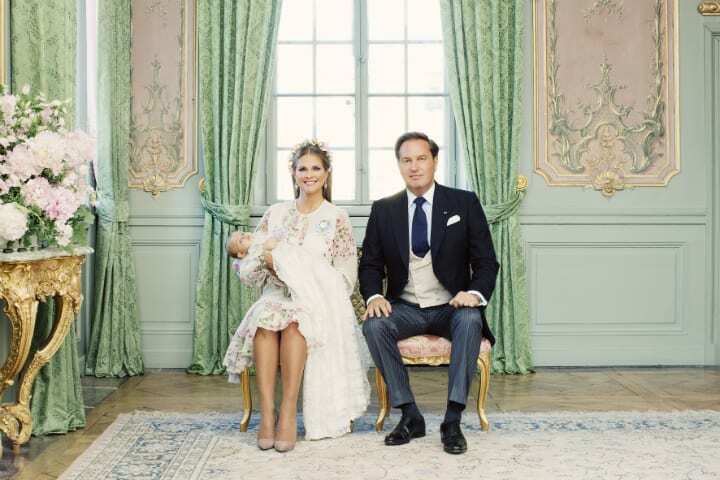 Her baptism was held on her parents’ fifth wedding anniversary, at the Swedish royal residence: Drottningholm Palace. Located just west of Stockholm on the pristine island of Lovön, the bright color scheme in this palace makes the viewer forget it was built in the 17th century. Proud parents Princess Madeleine and Chris O’Neill sit in a room filled with soft and cheerful pastels. And lest we forget they’re royals, there are touches of gold galore: table, chair legs, picture frames, curtain rods — you name it! We are used to seeing Queen Elizabeth in the height of fashion, in the most glittering and glamorous of outfits, from the beginning of her reign in 1952 all through the present day. But it’s moments like this, glimpses into what it’s like behind the crown, that have made her that much more beloved. 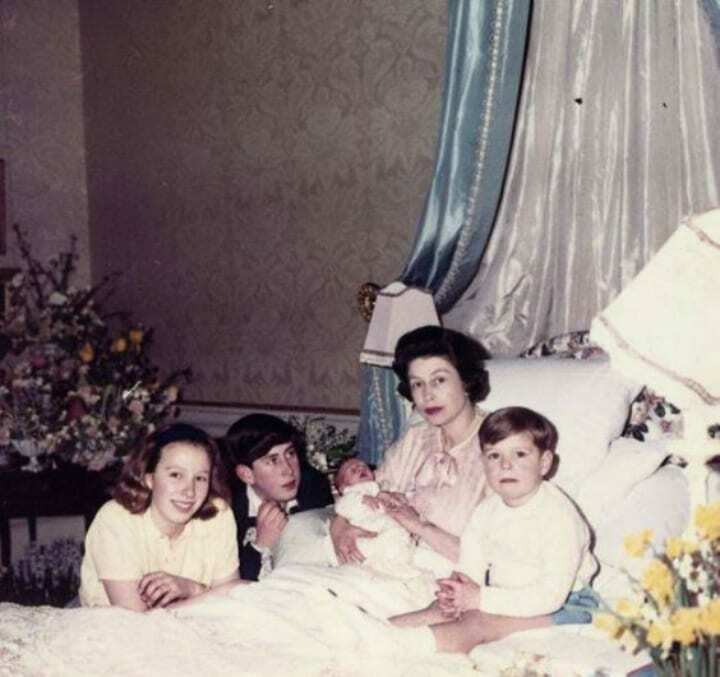 Here, Queen Elizabeth rests in bed with her youngest newborn, Prince Edward, in Buckingham Palace, surrounded by his siblings Princess Anne, Prince Charles, and Prince Andrew. The birth broke British tradition, as the father, Prince Philip, was present to hold his wife’s hand, usually not allowed during births. It’s a maternal scene that could happen anywhere — except for that magnanimous bed canopy. When we think of any royal family, they seem inaccessible, opulent, and bombastic. But this glimpse into the private lives of the royal family of Jordan proves just how human and easy to relate to they truly can be. 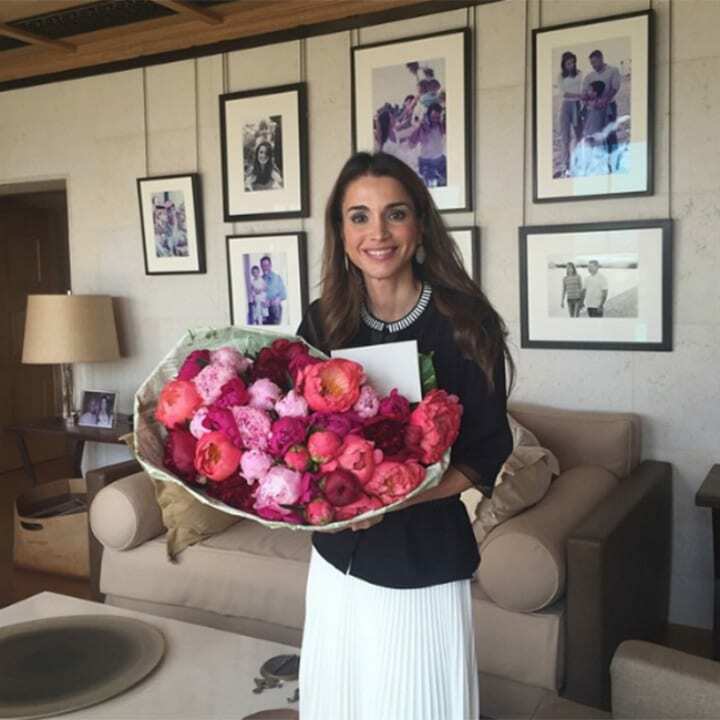 Although Queen Rania is her normally radiant self at the center of the photo with a bouquet of peonies, look behind her. The wall of this private residence is decked out with family photos from across the years, of her husband King Abdullah II, their children, and other members of the extended Jordanian royal family. Gone are the ornate portraits and grandiose tapestries we might expect, and instead, memories that one might find in any ordinary person’s home. Have a gander at this group of women. Fashionably dressed? Definitely. 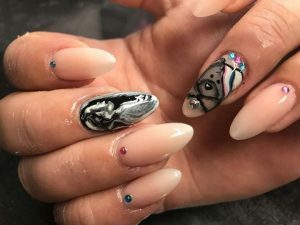 Elegant surroundings? Absolutely. 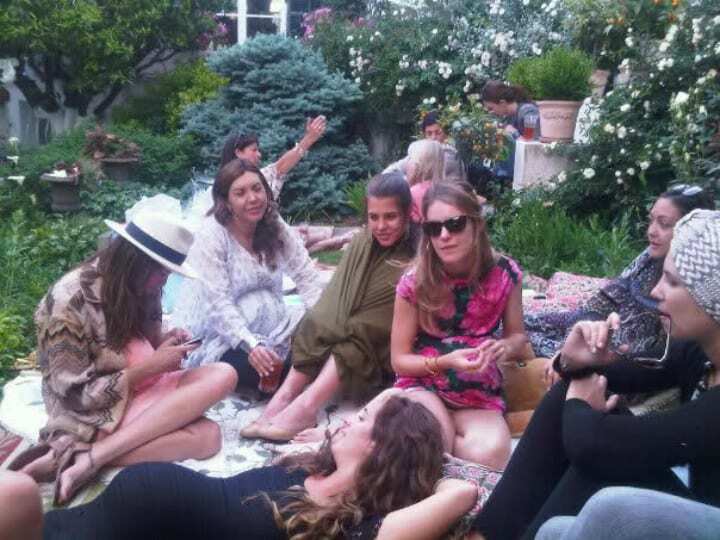 There are no visual cues to hint at the fact that these lovely ladies casually sprawled out on a picnic blanket are actually members of the royal family of Monaco, enjoying an afternoon in the gardens of Villa Clos St. Pierre. Pictured are Princess Caroline, daughter of Prince Rainier III of Monaco and famed Hollywood actress Grace Kelly, and her daughter Charlotte Casiraghi, in the company of friends and other relatives. It’s a peek into what royals do with their posse when they just feel like hanging out in the sunshine. Windsor Castle has been one of the British royal family’s strongholds for nearly a millennia. Originally constructed following the Norman invasion in the late 11th century, the castle has withstood dynastic change, civil wars, neglect, and even served as refuge to the royal family during German bombing raids on London. If you seek the glamorous emporium that has given the British royals their adopted surname, look no further. 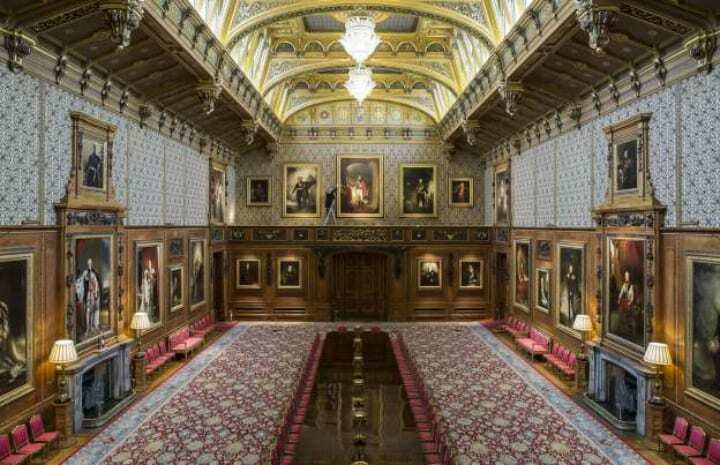 As the rooms are decked with priceless paintings, this hall above, the Waterloo Chamber, is representative of the castle’s splendor. Here, castle staff pose with a portrait of the Duke of Wellington, the English military hero who won the decisive battle against Napoleon’s forces. Although it is tantalizing to glimpse the dramatic displays of wealth that we may never attain, sometimes it’s just nice to be reminded of the humanity of members of royal families, wherever they reside. This moment during Liberian President Ellen Johnson Sirleaf’s visit with the Dutch royal family does just that. Argentinean-born queen consort Princess Máxima, married to the Dutch King Willem-Alexander, is receiving her guest at the Villa Eikenhorst in The Hague. Tasteful furniture and elegant wall-lamps aside, what stands out about this snapshot are the simple picture frames in the background, as well as a collection of what coffee table books the princess is reading. The moment below is in fact history in the making, the first time the public has been granted the chance to examine the living room at Denmark’s Amalienborg Palace. The Danish Crown Prince Frederik and his Australian-raised wife Crown Princess Mary of Denmark opened their quarters to the press one fine summer’s day, just before hosting a dinner. This Baroque-style palace is the Danish royal family’s official residence. As the furniture has been chosen with intentionally neutral tones, the couple wants the focal point of this room to be its tinkling crystal chandelier. The framework of the room, its walls and floor-length curtains, are in welcoming shades of periwinkle blue. 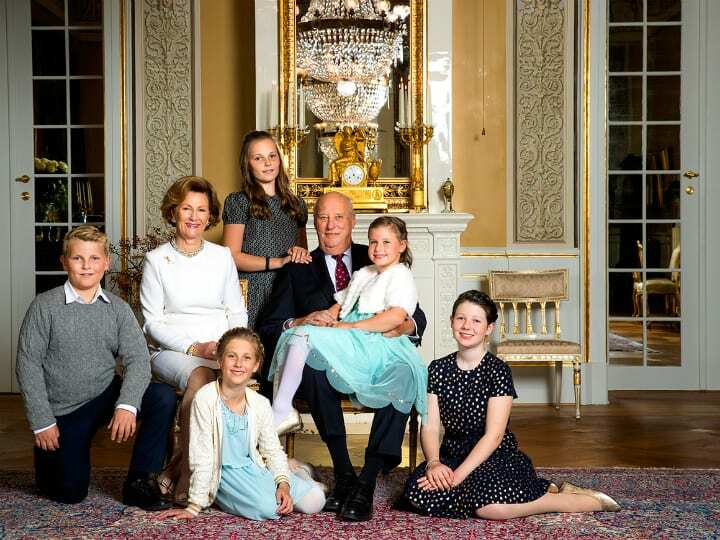 In their royal palace, King Harald and Queen Sonja of Norway opted for a family portrait with their grandchildren that is simultaneously poised but informal. Gone are the days of royals standing stiffly glowering at the camera. The beaming smiles and grandchildren sprawled on the floor herald a new age of royalty. But no matter how approachable and cheery these Nordic royals appear, there’s one piece of the palace decorations behind them that simply can’t be ignored. The solid gold clock sitting on the mantelpiece behind the king’s head is absolutely jaw-dropping — not to mention that extravagant chandelier reflected in the mirror. 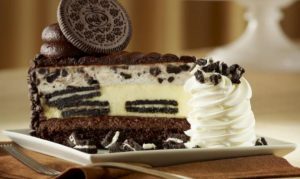 It’s almost too much to take in. 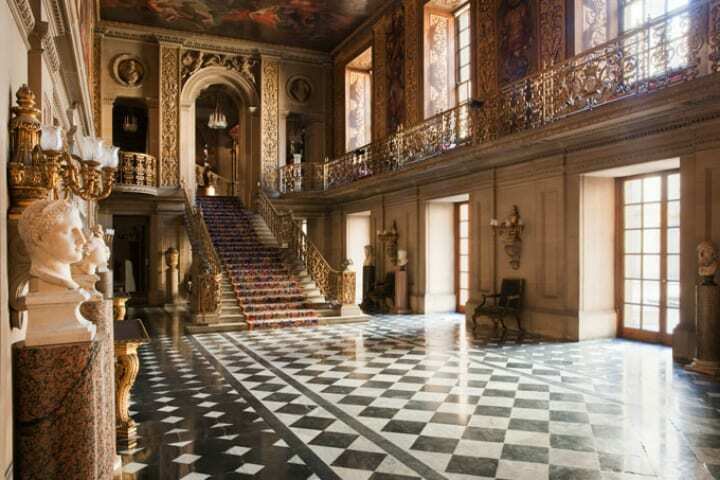 Owned by the Cavendish family, distantly related to Queen Elizabeth through her mother’s side, Chatsworth House in Derbyshire is everything that sparks the imagination when we wonder what the houses of wealthy aristocracy must contain. The best example is the Duke of Devonshire’s own Painted Hall. For inspiration in creating an imperial masterpiece, the designer has looked back to emperors of old. As the marble busts on the left can attest, the room is dedicated to Julius Caesar, with painted murals across its expanse detailing the infamous story of his life. Who wouldn’t feel sublime descending that ornate staircase? 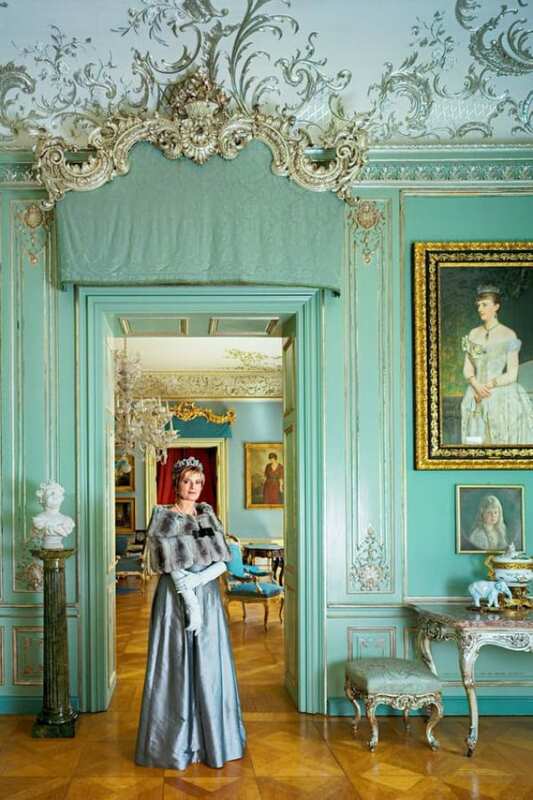 Meet Mette-Marit, the Crown Princess of Norway, pictured here in the drawing room of her royal residence at Skaugum Estate. She has lived there since her 2001 marriage to the Crown Prince Haakon, the heir apparent to the throne. Here, she’s getting ready for the annual literature tour throughout Norway, by sprawling out on the drawing room floor with a bunch of books. 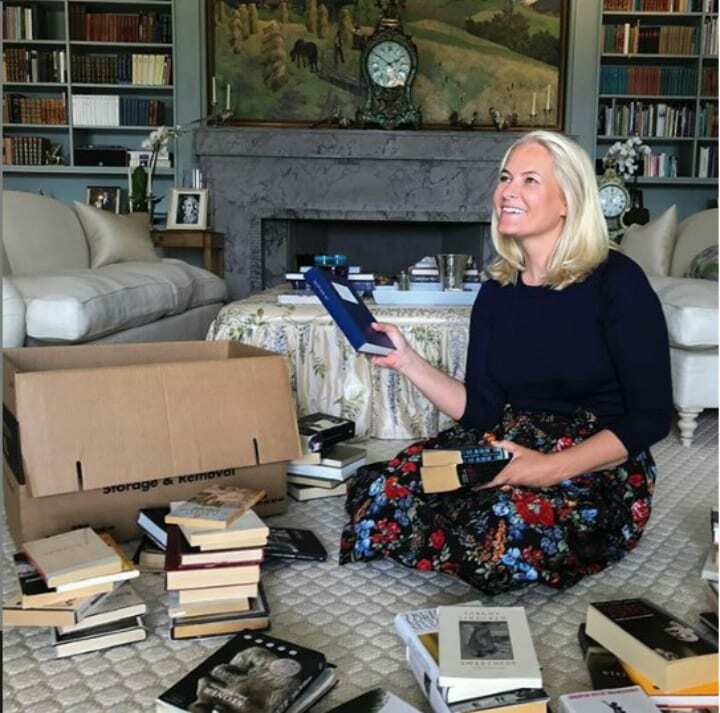 Perhaps it’s not by chance that the Princess decided to unbox these books in the drawing room, as the first thing to notice about this royal family den is the amount of books that serve as an integral part of its decor. That plush carpet looks like the perfect space to stretch out with a good read. When people see the words ‘royal family’, chances are, they’re instantly inclined to think of Queen Elizabeth, or other royal dynasties in Europe. But the European royal families are far from the only regal powers still ruling the world. The Sultan of Brunei is just behind Queen Elizabeth as the world’s second-longest ruling monarch, and is one of the wealthiest people on Earth. 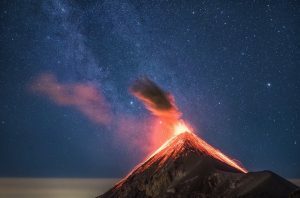 Thanks to its natural gas and petroleum resources, the Southeast Asian island nation has an extraordinarily powerful economy, affording its royal family a life of exquisite luxury. 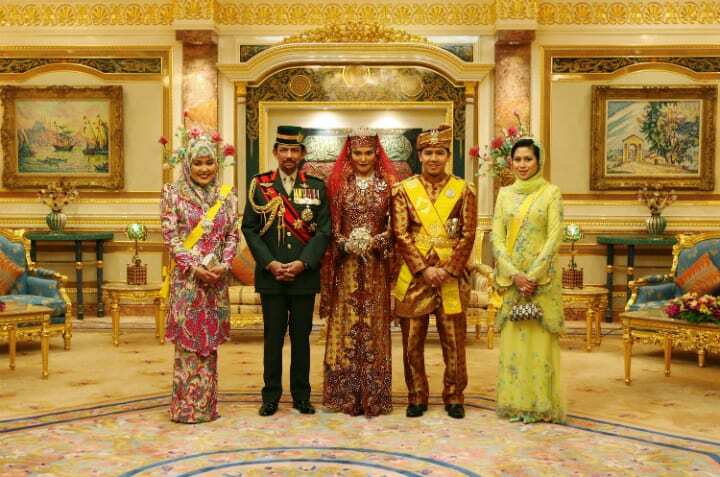 Seen here in their palace, Istana Nurul Iman, the Sultan stands with his Queen Consort and his third wife, in a sumptuous room whose obvious theme is sparkling gold.